Elimina el humo del cigarro al instante y protege un 99.9% de los virus en el aire. The CAP G2800 is our room sized air purifier, and has been designed to efficiently and effectively clean the air in an area up to 450 square feet. 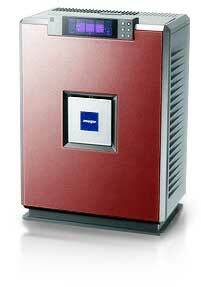 The CAP G2800 air purifier provides an efficient and cost effective method of removing indoor air pollutants. By using a powerful 4-speed fan with ultra quiet motor technology, air is passed through a four stage filtration system consisting of a pre-filter which catches large dust particles and hair, a HEPA filter which removes 99.97% of particulates larger than 0.3 microns, an activated carbon filter which eliminates odors, and a sterilization filter which destroys bacteria. 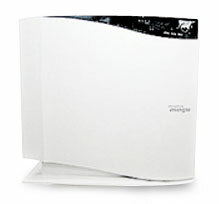 The CAP G4022 is today's most advanced and effective air purifier designed for home and office use. In independent laboratory tests performed by the Association of Home Appliance Manufacturers, the CAP G4022 air purifier had the highest Clean Air Delivery Rate (CADR) when compared to 159 leading air purifiers. Extremely Effective at removing tobacco smoke, dust, pollen, and mold spores, animal dander and other indoor air pollutants. Perfect for spaces up to 1500-2000 square feet. •	Highest Clean Air Delivery Rate (CADR) among 159 air purifiers and air cleaners tested by the Association of Home Appliance Manufacturers. Pollutants get removed before they can create or worsen health problems. •	12-Stage Filtration: 4 permanent & washable Pre-filters, 4 HEPA filters (99.97% effective at removing particles as small as 0.3 microns), 2 Activated carbon filters, 2 washable high airflow filters (air filtration media with antimicrobial agent). Allergens can't hide from the CAP G4022! •	Large Effective Coverage Area: Covers 1500-2000 sq ft. with two air changes per hour. • Continuous Air Quality Monitoring: Sensor checks pollution level in your environment and automatically adjusts fan speed for best performance. • From Environmentally Safe Materials: The CAP G4022 is "Green"
•	Ozone-Free Technology: All Airgle air purifiers produce absolutely NO ozone. Ozone is a lung irritant that's emitted from ionic air cleaners. How the Unit Works? 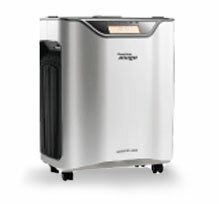 The air purifier uses a powerful fan to draw air through an intake grill in the bottom of the unit. The air then passes through the 12-stage filtration system, which traps the airborne particles and reduces allergens and odors. Pre-filter catches hair and large dust particles. High Airflow filter comes with Antimicrobial Agent technology that can effectively remove particles. HEPA filter removes dust, pollen, smoke, dander, and other small particles. Activated carbon filter (deodorization filter) eliminates harmful gases, odors and VOCs. The CAP G4022 has an advanced filter monitoring system. monitoring filters and signal as cleaning and/or replacing is needed. All filters are easy to access and change with no need for tools. The indicator is very helpful in providing the status of the filters and filter check function allows you to check the filters whenever desired. We recommend cleaning pre filters every 4-5 months. PEC-ion System; PhotoElectroCatalytic-ion System By using Oxidation of Photo - catalyst reaction & High Voltage Discharge Technology, this technology can oxidize VOCs into Carbon dioxide (CO2) & H2O. As a complex way of air purifier, CAP3000 series have not only outstanding eliminating capacity of micro-dust, particles etc but also outstanding sterilizing capacity so that they can eliminate Influenza virus. 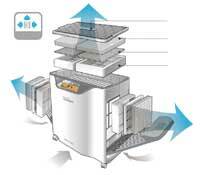 Functions(filters) of the air purifier are optional according to the condition of the place(Over basic quantity). CAP3000 series have 12 steps of PEC-ion system At the normal temperature, this technology can eliminate *VOCs more excellently than other air purifier products. By using Oxidation of Photo - catalyst reaction & High Voltage Discharge Technology, this technology can oxidize VOCs into Carbon dioxide(CO2) & H2O. Anion Generator is built in and it generates over 50k to 100k pcs of Anion(cc/piece) and makes fresh air such as he air around Forest or Waterfall. This air purifier does not rely on ozone as part of the air cleaning process. Our producs are ozone safe as the proper authoritty tested. HEPA filter eliminate micro-dust by 99.97% and Carbon filter strongly eliminate bad odor. 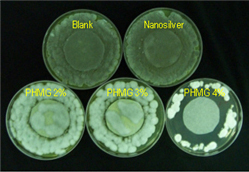 What is Mugu's Nano Metal Carbon filter? 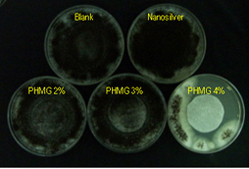 The catalytic material such as Nano-copper or Nano-silver is sprayed onto the natural activated carbon pieces. Powerful performance and deodorizing, not only by simple absorbing but also by catalytic disintegrating mechanism. Distribuidor Autorizado: GRUPO NET K S.A. de C.V.